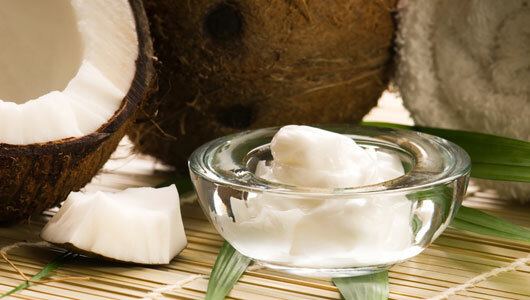 Coconut oil was once commonly used in cooking, but has been replaced by oils containing unsaturated fats. Here are some of the benefits of cooking with coconut oil. Coconut oil isn’t as bad as its high saturated fat content might make you think. Studies suggest that diets high in coconut oil do raise total blood cholesterol and LDL cholesterol, but not nearly to the same extent as butter. Coconut oil also seems to raise HDL (good) cholesterol. (Unlike LDL cholesterol, the HDL version doesn’t build up on artery walls.) In one small study, taking 2 tablespoons of coconut oil daily for one week did not significantly raise bad cholesterol but did increase good cholesterol. Coconut’s saturated fat is made up of a unique blend of medium-chain fatty acids, which may offer certain health benefits. (Most fats in our diet are long-chain fatty acids). Unlike long-chain fats, medium-chain ones do not have to be broken down in the small intestine. Because they are smaller, they’re absorbed intact and delivered directly to the liver to be used for energy. As noted above, coconut oil helps improve thyroid function. A thyroid that isn't working properly is one of the main causes of obesity. 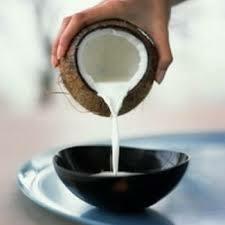 Cultures that use coconut oil for cooking have a lower rate of obesity. Healthy thyroid function has also been linked to reduced cancer risks. Studies have shown the occurrence of cancer to be lower, and in some cases nonexistent in areas that rely on saturated oils. They have also shown that the number of cancer cases increases with the addition of unsaturated oils to the diet. Coconut oil contains 40% lauric acid. This is a fatty acid that is also found in breast milk. The body converts it into a substance that fights bacterial, viral, and protozoal infection in infants. Providing your body with these chemicals improves your immune system and you get sick less often. It strengthens the immune system because it contains antimicrobial lipids, lauric acid, capric acid and caprylic acid which have antifungal, antibacterial and antiviral properties. The human body converts lauric acid into monolaurin which research has supported as an effective way to deal with viruses and bacteria that cause diseases like herpes, influenza, cytomegalovirus, and even HIV. Coconut oil helps in fighting harmful bacteria like listeria monocytogenes and helicobacter pylori, and harmful protozoa such as giardia . And many other benefits for health and beauty. Read more here: (Coconut Oil Health And Beauty Benefits, Nutrition, Side Effects). As you can see, switching to coconut oil for cooking can be quite beneficial. It can help you live longer, and look and feel better.